(MENAFN - Pajhwok Afghan News) NEILI (Pajhwok): A number of women in Nawmish and Patu districts of central Daikundi province have complained about the absence of female doctors, at a time when recent heavy snowfall and closure of roads where led to several people deaths. The Nawmish and Patu districts were added to Daikundi province in 2015 and 2018 from southern Helmand and central Uruzgan provinces, but due to security residents, residents of the two districts have always been deprived of healthcare services. Residents of the two districts expressed their deep concern over the lack of healthcare services because of increasing mother-child mortality rates in the absence of a female specialist doctor. They said it was the government's responsibility to offer free and judicious healthcare services to all people, but the residents of Daikundi have been lacking such facilities due to ethnic issues. Haidar Ali Dawlatyar, a resident of Patu district, told Pajhwok Afghan News that women of the district had been without any healthcare facility and due to insecurity, non-governmental organizations (NGOs) and government officials have not visited the district since long. He said four clinics were active in the district but they lacked medicines for patients and as a result, people took their patients to Neili, the provincial capital. He said women and children were among several people who had lost their lives due to lack of transport, closure of link roads after recent snowfall and lack of medicines. He believed if professional female doctors were appointed, the mortality rates would be decreased. Gulshan said sometime men did not take their pregnant females to hospital because of no female doctor and it was behind the high mortality in the district. 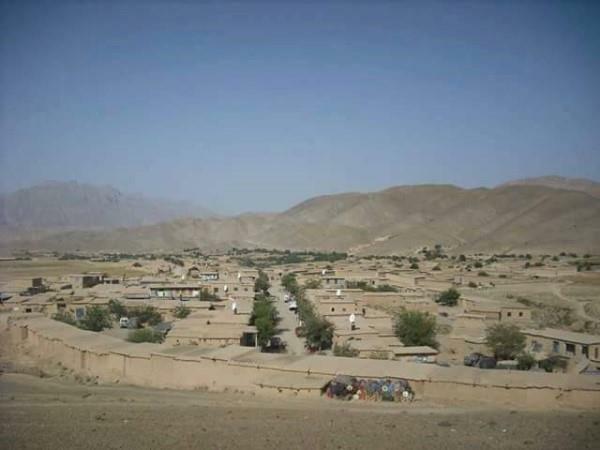 Sayed Tahir Etimadi, the district administrative chief, said after the district was added to Daikundi province, security incidents also increased, confronting local people with lack of healthcare services and education facilities. He said the available medicine stock was enough for local residents and efforts were underway to ensure medicines availability next year. Habibullah, a resident of Nawmish district, also complained about poor attention of the authorities concerned and said residents of the district had long been demanding construction of a hospital, but the government was yet to address their demand. A number of other residents expressed similar views and urged the government to address the issue at the earliest possible. Meanwhile, Haj Haqpal Khan Haqmal, the Nawmish district administrative acting chief, also confirmed the issue to Pajhwok and said they not only lacked medicines but a number of other facilities. He said the lack of health services had been shared several times with the authorities concerned, but so far no one paid attention. However, Ishaq Ali Darman, Civil Hospital Director in Neili, rejected the claims of residents of the two districts and said they had access to needed healthcare facilities. He said only bed service was not available in the two districts and every kind of other healthcare facilities were available there. Meanwhile, Governor Syed Ala Rahmati confirmed healthcare services in all districts of the province faced problems and challenges. However, he said efforts were underway to address the issues as soon as possible.